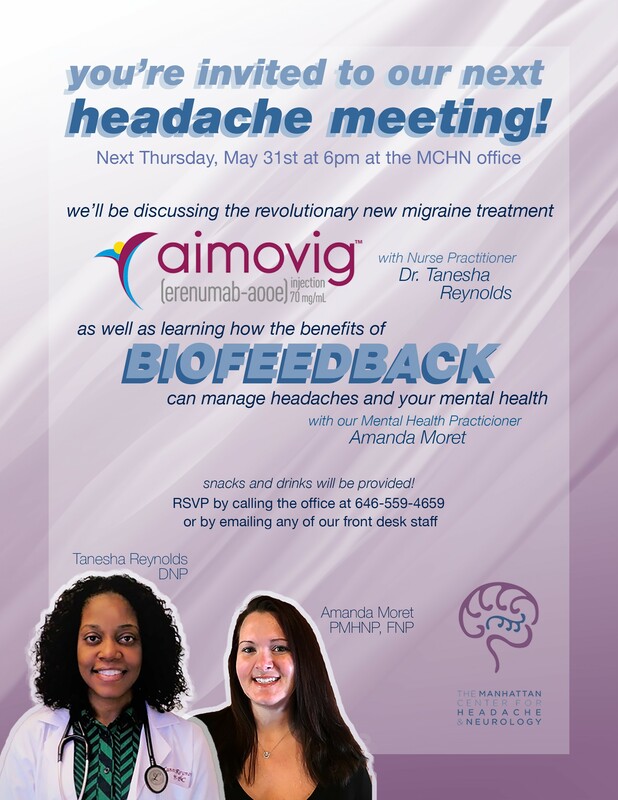 LEARN HOW BIOFEEDBACK CAN HELP MANAGE YOUR HEADACHES AS WELL AS YOUR MENTAL HEALTH!! You are not alone when dealing with HEADACHES! Newly released FDA approved medication, AIMOVIG shows promising results to help you manage your headaches! Find out how Biofeedback Therapy can reduce the frequency of your headaches and help you manage your mental health! Our experts have valuable advice to offer! Refreshments and finger food served!! !